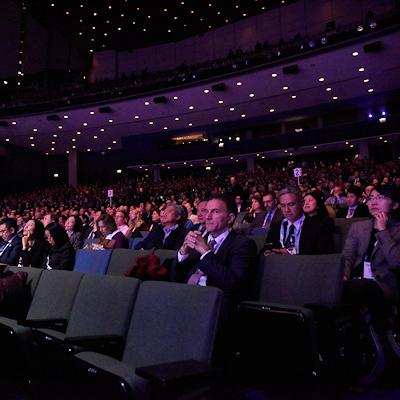 Stop us if you've heard this before, but there was a dominant theme at this year's RSNA 2018 meeting in Chicago. And that theme, believe it or not, was artificial intelligence (AI). 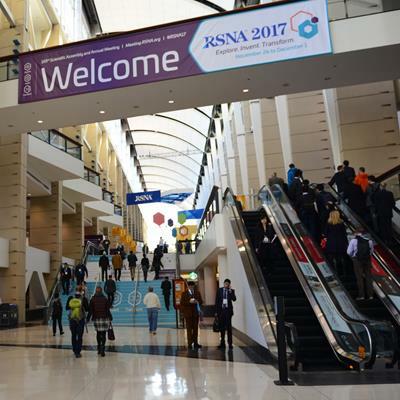 As at RSNA 2017, sessions on AI and the related topics of machine learning and deep learning dominated the halls of McCormick Place. However, although the topics were similar from year to year, the debate around artificial intelligence has begun to shift in subtle ways. Gone is the paranoia about AI taking radiologists' jobs -- but, to be honest, that disappeared a couple of years ago. It's been replaced by a frank discussion of the best way to put AI to work for radiologists, such as whether AI should be launched from the PACS or the reporting system. Also, which of the AI "marketplaces" under development will achieve dominance? And how will reimbursement be handled? The coming year should be an exciting one as more AI algorithms receive regulatory clearance and begin to move into clinical use. In addition to AI, gadolinium deposition was another hot topic at RSNA 2018, as researchers struggle to figure out what's causing the phenomenon. Other important trends included contrast-enhanced ultrasound and the maturation of 3D printing. This article reviews the major trends at RSNA 2018. We enjoyed bringing you our coverage of this year's show; be sure to check our RADCast @ RSNA for all of our reports. Artificial intelligence was omnipresent at RSNA 2018, beginning with RSNA President Dr. Vijay Rao's call in her opening address for radiologists to embrace AI in order to situate the specialty once again at the center of patient care. Commercial activity around AI continues to surge as start-ups and established companies alike vie to secure a niche in the burgeoning new era of AI-enabled radiology. The Machine Learning Showcase grew dramatically in size, with more than 70 small companies joining the fray to display their latest algorithms. 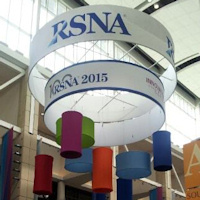 In the opening address, RSNA attendees were urged to embrace new technologies such as artificial intelligence. Elsewhere on the show floor, traditional imaging and IT firms spotlighted their AI initiatives throughout their booths. A number of vendors highlighted efforts to enable radiologists to utilize AI as part of their normal PACS workflow, addressing a key problem that could impede clinical adoption if unsolved. The scientific program at RSNA 2018 was also permeated by presentations on AI. Researchers traveled to Chicago to share their progress in developing deep-learning algorithms for a variety of clinical applications, such as detecting all types of intracranial hemorrhage, classifying liver lesions on MRI scans and explaining the findings, characterizing pulmonary nodules on CT, acquiring diagnostic-quality MR images with just a fraction of the typical dose of a gadolinium-based contrast agent, and helping to avoid unnecessary thyroid nodule biopsies. Other hot areas included triaging studies that need urgent review by radiologists, lowering radiation dose and decreasing scanning time, improving the accuracy of digital mammography and digital breast tomosynthesis, facilitating the communication of urgent results, and analyzing radiomics data for assessing risk and predicting treatment response. There was also a flurry of scientific papers showing high performance for detecting a variety of conditions on chest x-rays. While excitement over the potential of AI in radiology remains high, there was also a growing awareness at RSNA 2018 of the thorny challenges that still need to be addressed before machine-learning tools can achieve widespread adoption. For example, AI algorithms can certainly achieve impressive results on carefully selected datasets, but there's no guarantee they will deliver the same performance on other patient populations or with other models of imaging equipment. Indeed, one presentation at RSNA 2018 highlighted the need for deep-learning algorithms to be trained with diverse datasets and to be tested on real-world cases prior to being deployed in clinical practice. Speaking of data, there is still an urgent need for large, well-annotated training datasets; algorithm development to date has mostly focused on imaging applications for which there are readily available sources of training data. For example, the significant number of scientific papers presented at RSNA 2018 on chest x-ray applications can be credited in large part to the release in late 2017 by the U.S. National Institutes of Health (NIH) of a massive database of more than 100,000 chest x-rays. A new database of over 10,600 CT scans released in July by the NIH will also undoubtedly spur algorithm development. 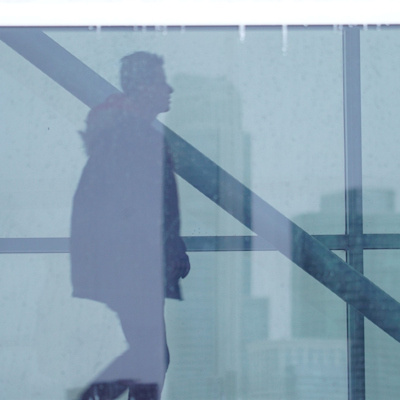 In addition, researchers continue to investigate the use of techniques such as natural language processing that could make it easier for institutions to assemble their own training datasets. While vendors showed progress at RSNA 2018 in tackling the crucial issue of integrating AI algorithms into PACS software, much work remains before radiologists can easily use AI as part of their regular workflow and not have to transfer to another software application. In addition, only a small percentage of firms that were showing AI software for clinical use at RSNA 2018 have received U.S. Food and Drug Administration (FDA) clearance for their products. Importantly, though, regulatory policy changes at the FDA toward imaging AI software have led to a smattering of recent approvals, with many other companies expecting to receive FDA clearance in 2019. Financial matters also must be worked out for both vendors and users. While many start-ups focused initially on developing high-performing algorithms, the quest is now on to find sustainable business models. On the end-user side, cost justification will be a big hurdle for many healthcare institutions; any new technology released without reimbursement is always a difficult sell to the C-suite unless it can yield quantifiable benefits. Clinical validation studies would be a big help here. For now, the biggest opportunities for AI appear to be in use cases that improve the workflow and efficiency of radiologists, as well as enhance the value and efficiency of radiology. That's how AI can help fulfill Rao's vision of truly patient-centered radiology and solidify the role of radiologists in the future. One area that could certainly benefit from AI is the ongoing effort to understand more about why trace elements of gadolinium remain in the tissue of patients who have received MRI contrast agents. The gadolinium retention issue continues to baffle experts, and it was a major point of discussion at RSNA 2018. 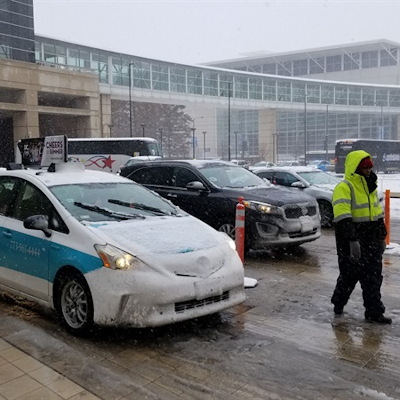 Snowy weather greeted RSNA attendees on the second day of the meeting. One example of how AI could help came from U.S. and Swiss researchers, who developed software for mining data in PACS/RIS databases to drastically reduce the time it normally takes to analyze brain MRI scans from patients who were given macrocyclic or linear gadolinium-based contrast agents (GBCAs). Tools like this should go a long way toward accelerating research into gadolinium retention. But even with all the studies that have been conducted so far, just as many questions remain about the short- and long-term presence of gadolinium and to what extent traces of the element are detrimental to patient health. Many patients who have experienced serious conditions after their MRI scans naturally attribute them to gadolinium exposure, but can a connection be definitively proved or disavowed? "That is the single most important piece of information we still don't have an answer to," Dr. Emanuel Kanal, director of MR services at the University of Pittsburgh, told AuntMinnie.com. "We are not really sure whether or not having residual gadolinium in whatever form or forms it may be found in the brains of these patients [has] any significant clinical consequences." Perhaps some answers will come from the recently formed worldwide collaboration of researchers who will investigate gadolinium deposition from two perspectives. One strategy will target animal and basic science research, while the other will focus on clinical research. At some point -- perhaps even by RSNA 2019 -- clinicians could have a better foundation for deciding whether to administer a GBCA and for knowing the minimal dose to achieve their diagnostic goals. Beyond the gadolinium debate, researchers presenting at RSNA 2018 continued to broaden MRI's horizons by experimenting with new imaging techniques, such as black bone MRI for detecting skull fractures. The reconstructed 3D MR images appear to be comparable to 3D reconstructions of CT scans for detecting fractures. In addition, current tried-and-true MR protocols such as diffusion-tensor imaging could help predict which patients will progress to Alzheimer's disease or dementia. Since RSNA launched its 3D Printing Special Interest Group in 2013, the amount of time and space dedicated to the field during the annual meeting has grown enormously each year. 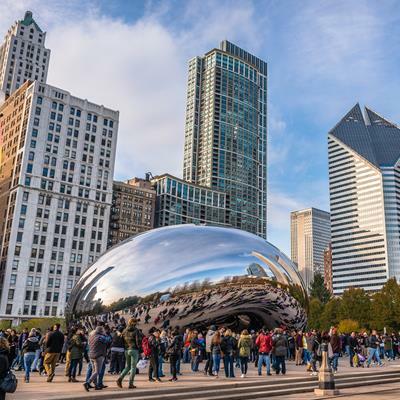 RSNA 2018 was no exception to this trend, with a generous number of posters, refresher courses, technical exhibits, and oral presentations aimed at increasing the awareness of 3D printing. The technology's pervasiveness this year -- especially in scientific sessions -- made clear that medical 3D printing long ago transitioned from being merely a flashy idea into an effective application grounded in clinical work. This year's conference included discussions ranging from the logistics of starting a hospital 3D printing lab and creating cost-effective 3D-printed anatomical models to the various ways in which clinicians have been using such models to boost treatment efficiency. 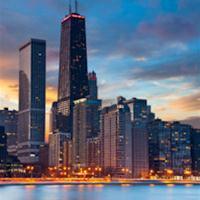 RSNA offers attendees a valuable chance to learn about new radiology products. Research presentations at RSNA 2018 demonstrated the potential benefits of 3D-printed models in improving presurgical planning and intraoperative guidance, as well as patient education. In previous years, these presentations were primarily case studies involving a dozen or so 3D-printed models. At RSNA 2018, however, several groups showed the technology to be useful on an even grander scale, to the tune of hundreds of distinct patient-specific models created for the evaluation of a particular organ or disease. Furthermore, growth in medical 3D printing seems primed to continue full steam ahead in light of the American Medical Association's acceptance of a category III current procedural terminology (CPT) proposal for 3D anatomic modeling; the proposal was led by the American College of Radiology. The four new CPT codes, slated to be effective starting July 2019, will finally allow radiologists and other clinicians to seek reimbursement from the U.S. Centers for Medicare and Medicaid Services (CMS) for 3D printing services -- possibly surmounting one of the chief barriers to the integration of 3D printing in healthcare. Researchers from multiple U.S. institutions underscored the magnitude of this event in a Sunday refresher course on 3D printing at RSNA 2018. "Before now, all 3D printing was volunteer work, but now there's a way to actually get reimbursement from CMS for patients who need 3D printing," Dr. Frank Rybicki, PhD, chair of radiology at the Ottawa Hospital, told AuntMinnie.com. "The fact that the codes exist and they cleared is huge. It's a really big deal in radiology." The coding decision will also apply to other advanced 3D imaging techniques, which are increasingly becoming intertwined with 3D printing. In one such example at RSNA 2018, investigators from New York created both augmented reality and 3D-printed kidney and prostate models using the same MRI and CT scans. The shared processing steps required for 3D printing and other forms of 3D modeling -- most notably virtual and augmented reality -- may ease the partial unification of their workflows. As 3D printing research expands and the technology ramps up its integration into hospitals around the world, radiologists appear positioned to cement their place as leading figures in the discipline. Medical 3D printing, like artificial intelligence, has the earmarks of a medium through which radiologists may be able to situate themselves at the "epicenter of care," as Rao urged the community to do in her opening address. What's more, the early application of 3D printing in medicine has highlighted its collaborative nature: Every scientific presentation depended upon a joint effort among scientists, engineers, and clinicians from a variety of specialties, including radiology. Collaboration to this degree may ultimately improve the quality of research and, perhaps most importantly, of patient care. "Being able to see and hold these tangible 3D models brings everything together," Nicole Wake, PhD, from NYU Langone Health told AuntMinnie.com. At this year's RSNA meeting, contrast-enhanced ultrasound (CEUS) seemed poised to come into its own. Studies presented in Chicago demonstrated that ultrasound offers benefits such as cost-effectiveness, convenience, and a lack of radiation; what's more, with contrast enhancement, it can be used for increasingly sophisticated applications such as cancer interventions and image guidance for percutaneous procedures. RSNA attendees from around the world took time to document their experience. CEUS can even support molecular imaging, as microbubble-based contrast agents accumulate at tissue sites in the body that are expressing molecular markers. CEUS has been shown to help characterize breast, kidney, and liver lesions, and it can be used instead of more expensive modalities for patient follow-up, according to Alexander Klibanov, PhD, from the University of Virginia in Charlottesville. Klibanov presented RSNA 2018 attendees with a primer on the use of contrast ultrasound. "Enabling molecular imaging potential in an ultrasound setting will lead to the expanded and improved clinical diagnostic benefit," he said. "Ultrasound contrast microbubbles are already used in the clinic as blood-pool contrast agents, with excellent detection sensitivity. Overall, targeted microbubbles empower molecular ultrasound imaging and could be used in conjunction with image-guided interventions, such as biopsy and therapy." In the New Horizons lecture delivered at RSNA 2018, titled "Oscillating Microbubbles: Driving Innovation in Ultrasound," Flemming Forsberg, PhD, of Thomas Jefferson University in Philadelphia shared results from a study that produced the first human subharmonic images using ultrasound with microbubbles. The technology shows promise in a variety of ways, including for monitoring interventions such as transarterial chemoembolization and evaluating kidney cancer recurrence, Forsberg said. "[Contrast-enhanced ultrasound imaging] may be a useful alternative to catheter-based measurements of cardiac conditions and for diagnosing portal hypertension, or as a novel biomarker for monitoring neoadjuvant chemotherapy of breast cancer," he said. "[There's also] the intriguing possibility of using targeted microbubbles for drug or gene delivery." Another emerging ultrasound trend is elastography. The term refers to a variety of techniques used to map the elastic properties and stiffness of soft tissue (with the understanding that increased tissue stiffness is associated with disease). These techniques include shear-wave elastography (SWE), MR elastography, and transient elastography. SWE was of particular interest to researchers at the meeting; it uses an acoustic pulse sequence to generate sound waves that are then measured to assess tissue elasticity for applications ranging from tracking patellar tendinopathy in athletes to assessing liver fibrosis. But elastography aside, ultrasound fans should definitely keep their eyes open for CEUS developments, according to Klibanov. "[CEUS offers many] opportunities for clinical translation in diagnostic imaging and image-guided interventions," he said. 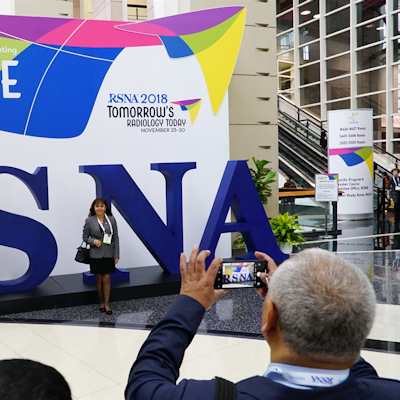 The last major trend at RSNA 2018 isn't a clinical topic but rather a pervasive sense that much of the uncertainty that has plagued the specialty for years has begun to recede. Uncertainty has been the norm in radiology for the past decade, starting with the Great Recession and giving way to the great job crisis a few years later, in which the job market for radiologists dried up and medical students avoided the specialty in droves. This was followed by years of political uncertainty, as the passage of the Affordable Care Act (ACA) and then the threat to dismantle the legislation left all healthcare professionals unsure of where they stood. 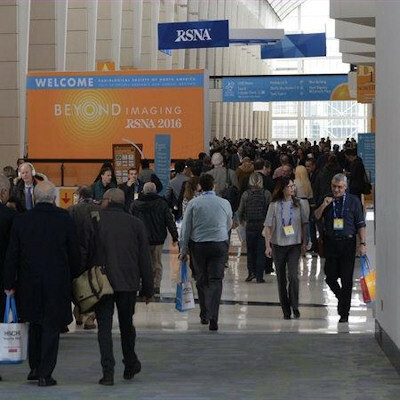 RSNA 2019 will take place December 1-6. The next threat to radiology was artificial intelligence, in which it was prophesied that machines would soon be doing the jobs of radiologists, who after all were just "wasted protoplasms," in the infamous words of an executive at one AI start-up. But a funny thing happened on the way to radiology's demise: The specialty turned out to be more resilient than expected. The ACA still stands and seems to have affected healthcare professionals less than was expected. The job market for radiologists has stabilized, and medical students once again see radiology as an attractive specialty, with radiology programs reporting that they were 100% filled in the 2018 National Residency Match. In fact, U.S. radiology appears to be on the verge of a shortage of radiologists, something that would have seemed unthinkable a few short years ago. There are some 8,000 radiologists in the U.S. older than 65 who are still in clinical practice -- a number that is very high, according to Daniel Corbett of physician management recruiting firm Radiology Business Solutions. These physicians now have retirement plans that are flush with cash, and they are looking for the exit. Which all brings us back to RSNA 2018. Presentations at McCormick Place were refreshingly free of the doom and gloom of past years. 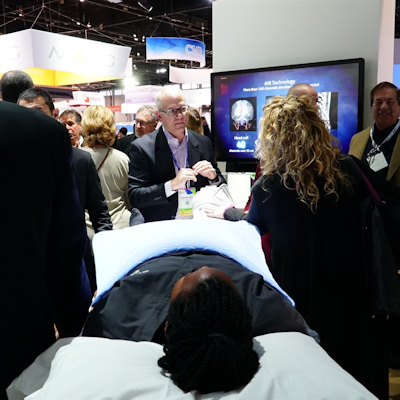 There was little discussion of attendance figures, booth square footage, and all the other minutiae that veteran RSNA attendees use to gauge the market's health. Instead, the gestalt in Chicago seemed to be that radiology's best years are ahead of it. Radiologists may evolve in years to come from being the masters of big iron to the lords of big data, but one thing is certain if RSNA 2018 is any indication -- they will most likely control their own destiny.